LUBRIPLATE No. 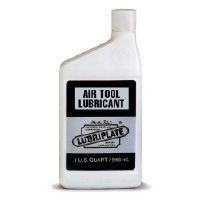 176 Open Gear Lubricant has been designed to provide good pumpability and sprayability without the use of harmful volatile solvents. 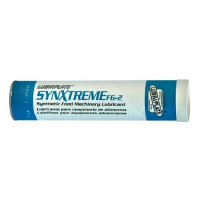 Yet it retains the adhesiveness and tenacity that is required to successfully lubricate and protect open gearing of all types and sizes. LUBRIPLATE No. 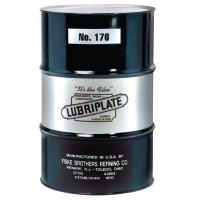 176 is also an excellent lubricant for large sleeve bearings, slides, dipper sticks, rails, and house rollers. 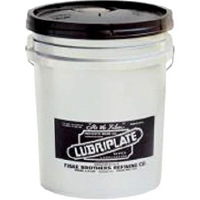 This tacky NLGI 00 grease has been specifically compounded using unique blends of high-quality petroleum and synthetic base fluids, along with significant concentrations of high performance organic and non-petroleum ingredients in order to provide outstanding anti-wear, lubricity, and extreme pressure properties. 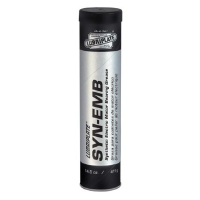 In addition, it is fortified with unique blends of solid lubricants that significantly increase its film strength and load-carrying capacities, well beyond those of most other lubricants.